USB OTG host cable adapter ompatible with Motorola Xoom, Samsung Galaxy S2/S3/S4/S5, Nokia N900/N810, and any other Micro USB devices with USB Host mode support features supported. This OTG USB cable is also compatible with the SDRPlay. 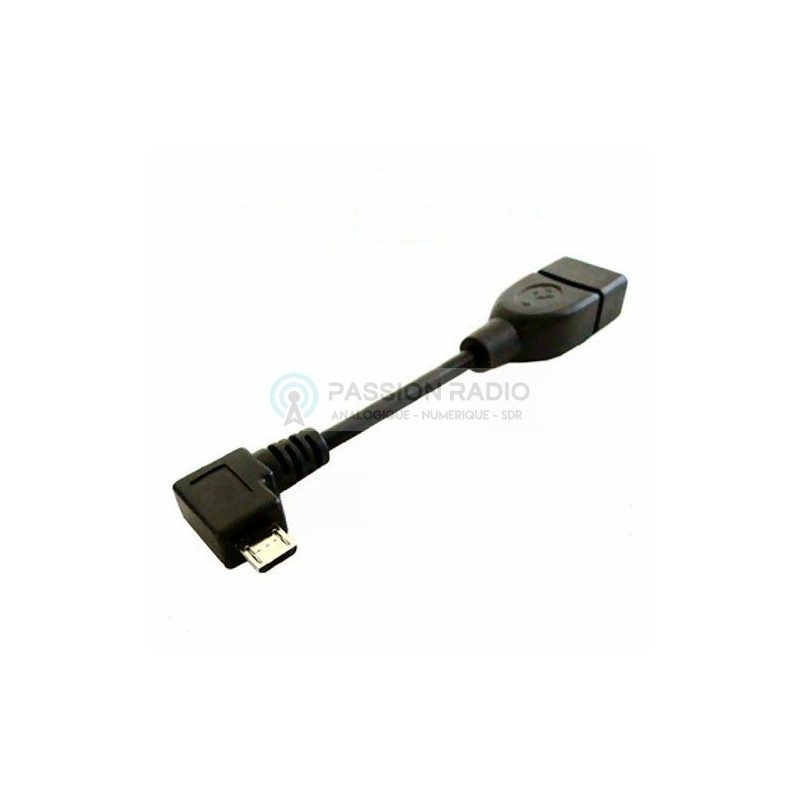 Description: USB OTG host cable adapter ompatible with Motorola Xoom, Samsung Galaxy S2/S3/S4/S5 , Nokia N900/N810, and any other Micro USB devices with USB Host mode support features supported . - Connector Micro B male to USB A Female - Data synchro & charging support cable - Universal micro-USB compatibility - Angled for better easy use of the connected device Allow you to connect most of USB Flash Drive, Mouse, Keyboard and of course a RTL-SDR USB stick to use a android smartphone or tablet as a wide band scanner with SDR Touch Android app available in Google Play store, for free and premium (SDR Touch Key) This OTG USB cable is also compatible with the SDRPlay .